This video is from the 2 May 2017 Grand Opening of the Bavinck Special Collection at Hekman Library’s Heritage Hall at Calvin Seminary. Two recent CTS graduates from China discuss their translating Bavinck’s Reformed Dogmatics into Mandarin. 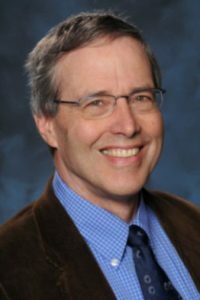 John Bolt, Jean and Kenneth Baker Professor of Systematic Theology at Calvin Seminary, cordially invites you to attend the grand opening of the Bavinck Institute Special Collection. 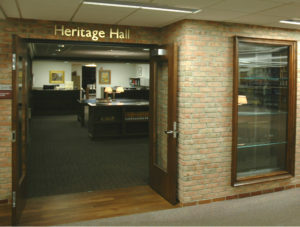 The Bavinck Institute Special Collection is housed in Hekman Library’s Heritage Hall. It contains some 1,750 books including copies of original and unpublished Bavinck manuscripts as well as scholarly essays by and about Bavinck, Abraham Kuyper, and Dutch neo-Calvinism. It is available to faculty, students, and visiting scholars. The grand opening is open to the public. No need to RSVP. When: 2 May 2017 at 7:30 p.m. Professor Emeritus James Bratt delivered this plenary lecture at the the 2008 Bavinck Conference at Calvin Seminary. In the lecture Professor Bratt unpacks the historical context of Herman Bavinck’s 1908 Stone Lectures. He builds upon a twofold motif first suggested by Professor George Harinck as a summary of the tensions evident in Bavinck’s life and thought: movement from the outside world to the inside, and from the inside to the outside. This double movement highlights a key note in Bavinck’s Reformed catholic theology generally and within the Stone Lectures in particular: the conciliation between modern life and ancient faith. The lecture was published as “The Context of Herman Bavinck’s Stone Lectures: Culture and Politics in 1908,” Bavinck Review 1 (2010): 4–24 (PDF). Professor Syd Heilema delivered this lecture on how Bavinck might have approached contemporary youth ministry at the the 2008 Bavinck Conference at Calvin Seminary. Syd Hielema, “Herman Bavinck’s Eschatological Understanding of Redemption,” ThD diss., Toronto: Wycliffe College, Toronto School of Theology, 1998 (PDF). 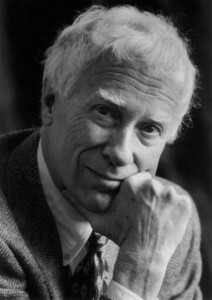 Nicholas Wolterstorff, Noah Porter Professor Emeritus of Philosophical Theology at Yale Divinity School, delivered this plenary lecture at the the 2008 Bavinck Conference at Calvin Seminary. and points out the affinities between Bavinck’s thought and contemporary Reformed epistemology (at ~64:00). The lecture was published as “Herman Bavinck—Proto Reformed Epistemologist,” Calvin Theological Journal 45, no. 1 (2010): 133–46. Michael S. Chen, “‘To See Darkness, To Hear Silence’: Herman Bavinck and Augustine on Epistemology,” Bavinck Review 2 (2011): 96–106. Steven J. Duby, “Working with the Grain of Nature: Epistemic Underpinnings for Christian Witness in the Theology of Herman Bavinck,” Bavinck Review 3 (2012): 60–84. Jacob Klapwijk, “Rationality in the Dutch Neo-Calvinist Tradition,” in Rationality in the Calvinian Tradition, edited by Hendrik Hart, Johan Van der Hoeven, and Nicholas Wolterstorff (Lanham, MD: University Press of America, 1983), 113–131. Bruce R. Pass, “Herman Bavinck and the Problem of New Wine in Old Wineskins,” International Journal of Systematic Theology 17, no. 4 (2015): 432–49, doi:10.1111/ijst.12118. Bruce R. Pass, “Herman Bavinck and the Cogito,” Reformed Theological Review 74, no. 1 (2015): 15–33. Alvin Plantinga, “The Reformed Objection to Natural Theology,” in Rationality in the Calvinian Tradition, edited by Hendrik Hart, Johan Van der Hoeven, and Nicholas Wolterstorff, 363–83. Lanham, MD: University Press of America, 1983. David S. Sytsma, “Herman Bavinck’s Thomistic Epistemology: The Argument and Sources of His Principia of Science,” in Five Studies in the Thought of Herman Bavinck, A Creator of Modern Dutch Theology, ed. 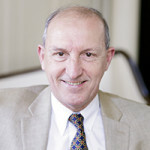 John Bolt (Lewiston, NY: Edwin Mellen, 2011), 1–56. Arvin Vos, “Knowledge according to Bavinck and Aquinas,” Bavinck Review 6 (2015), 9–36. Albert M. Wolters, “Dutch Neo-Calvinism: Worldview, Philosophy and Rationality,” in Rationality in the Calvinian Tradition, edited by Hendrik Hart, Johan Van der Hoeven, and Nicholas Wolterstorff, 113–31. Lanham, MD: University Press of America, 1983. This plenary session panel discussion (MP3; 70 MB) with Professors John Bolt, Gordon Graham, and J. 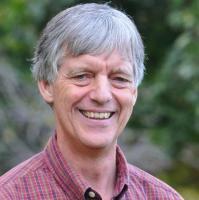 Mark Beach is from the 2008 Bavinck Conference at Calvin Seminary. Professor Bolt’s lecture, “Herman Bavinck’s recipe for theological cake,” begins at ~16:00. Professor Graham’s lecture, “Bavinck’s Philosophy of Revelation,” begins at ~42:00. Professor Beach’s lecture, “Can’t We All Just Get Along? Herman Bavinck as a Pastoral Polemicist,” begins at ~59:15. 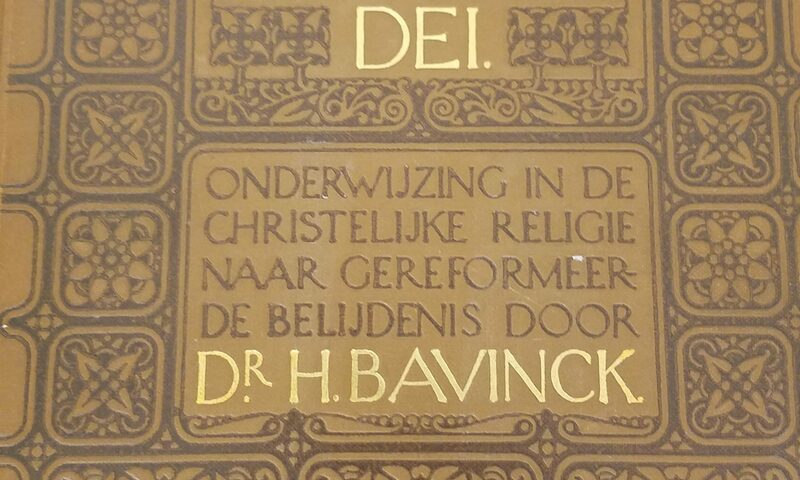 Bavinck, Herman. Saved by Grace: The Holy Spirit’s Work in Calling and Regeneration. Edited by J. Mark Beach. Translated by Nelson D. Kloosterman. Grand Rapids, MI: Reformation Heritage Books, 2008. Beach, J. Mark. “Abraham Kuyper, Herman Bavinck, and ‘The Conclusions of Utrecht 1905’.” Mid-America Journal of Theology 19 (2008): 11–68. ———. “Can’t We All Just Get Along? Herman Bavinck as a Pastoral Polemicist.” Mid-America Journal of Theology 24 (2013): 73–79. Bolt, John. “The Bavinck Recipe for Theological Cake.” Calvin Theological Journal 45, no. 1 (2010): 11–17. Graham, Gordon. “Bavinck, Nietzsche, and Secularization.” In The Kuyper Center Review, Volume 2: Revelation and Common Grace, 14–26. Grand Rapids, MI: Eerdmans, 2011. ———. 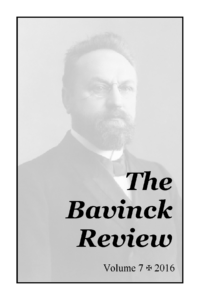 “Bavinck’s Philosophy of Revelation.” Calvin Theological Journal 45, no. 1 (April 2010): 44–50. See the conference brochure (PDF 127 KB) for more on the conference theme and instructions for paper propsals.